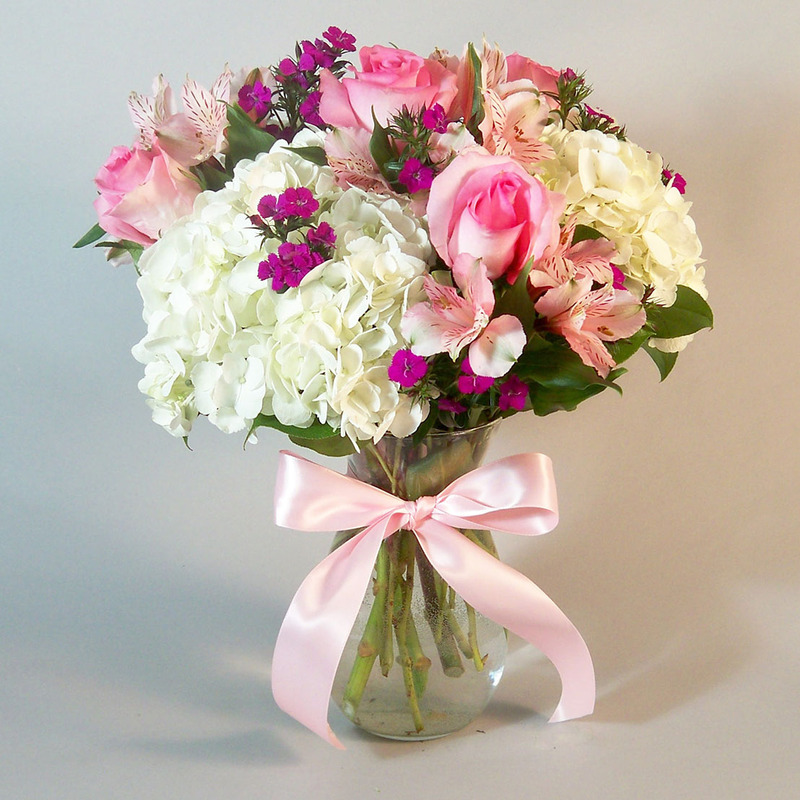 Tell mom thanks and that you care with a lovely soft bouquet with white hydrangea and pink roses. We've finished off the look with a nice satin ribbon. Ah,so sweet for mom. Standing 16″ tall and 13″ wide. Premium- Let's up the ante and slip all this soft pinkness into a bigger vase and add some roses and hydrangea. Depending on product availability, substitutions may occur.